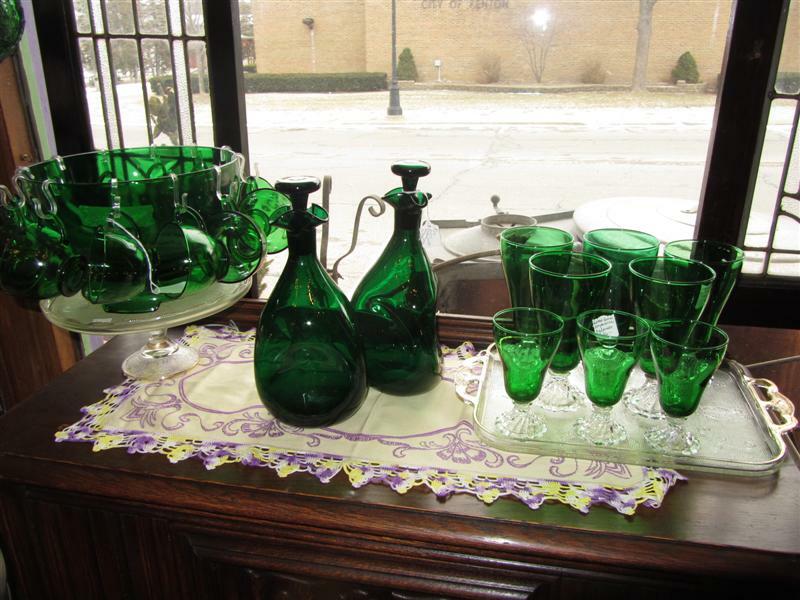 Fabulous Forest Green Glass! Pictured here are a few pieces. Anchor Hocking Glass actually copyrighted the name “Forest Green” back in the late 1940’s. You may also recognize these patterns in their other color of “Ruby Red”. The two decanters have ground glass tops and were also produced by Anchor Hocking in their Fire King Division. They are in wonderful condition with no damage. They have the “pinched” sides that makes for easy handling. They stand 11″ tall. Also shown are tumblers in the “Inspiration” pattern, often confused with the “Boopie” pattern. We have 3 juice glasses and 5 Ice Tea Tumblers.